The County Kildare Club was founded on February 18th 1881 by Colonel Thomas J. de Burgh, grandfather of Club President Major John H. de Burgh. The de Burgh Family have lived in Oldtown for over 300 years and it is in no small part thanks to the generosity and never failing interest of three generations of the de Burghs that Naas Lawn Tennis Club survived and indeed came into being. 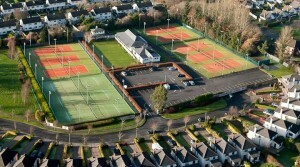 The name of the club was changed to Naas Lawn Tennis at the Annual General Meeting held on October 18th 1978. It was in 1906 that the lease to the club was signed (the current “Junior Club House” dates from the same year) and in 1971 the club became owners rather than tenants, following which a concerted effort ensued with both immediate and long term plans submitted and passed by the members. Courts were tackled, existing 6 grass courts upgraded plus the addition of 5 extra courts; initially Tarmac and finally Synthetic Grass. The 11 magnificent courts that we enjoy today are maintained to the ultimate with planned replacement on a phased basis. 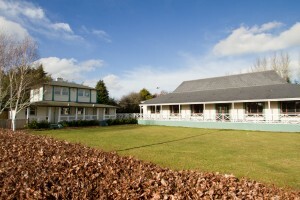 Meanwhile the clubhouse dating from 1906 was refurbished in the nineteen eighties while plans for a new club house proceeded, finally coming to fruition with the opening of the present senior clubhouse in 1992. The luxury of a Junior Club House for day to day activities is the envy of many other clubs. With the construction of Car Park and enhancement of the grounds, the facilities in Naas Lawn Tennis are among the best in the country. Development of playing standards has always been to the fore. In the early 70’s a comprehensive coaching plan was put in place. By 1981 Naas Lawn Tennis Club had the best record of any Provincial Team playing in the Dublin Leagues. Thanks to the continued planning of successive, progressive, committee’s Peter Farrell was appointed Club Coach in 2001. By 2004 Peter’s role had evolved into management of the coaching. Currently there are 5 coaches employed, so Naas now offers comprehensive year round coaching for recreational and high performance players. The Junior Development Plan is especially progressive. Playing standard has continued to improve. In 1986 Ladies were promoted to Class 1 Dublin League, they were joined by the men in 2006. Naas Lawn Tennis Club players are a force to be reckoned with both as team and individual players. Especially gratifying is the steady progression of Junior players to Senior ranks auguring well for the future playing standard. The Club is fortunate to have its Executive Committee Minute Books intact since it’s foundation in 1881 to the present day. In 2005 these Minute Books were scanned and transferred to CD-ROM for safe keeping. Minute Books and Files were bound, there are 17 in all. A Display Cabinet was commissioned for display of Minutes. Those not on display are secured in a fire proof safe. History of the Club Volume 1 1881 – 1992, was published in 1992 with Volume 2 following in 2005. A truly unique record of the club from its foundations in the 19th century to the early years of the 21st century, both Volumes, and indeed the Archives Project, were compiled and written by Mary Rose Lyons.